My paternal grandparents, Firmin and Lucie VanEecke, lived the great American Dream. 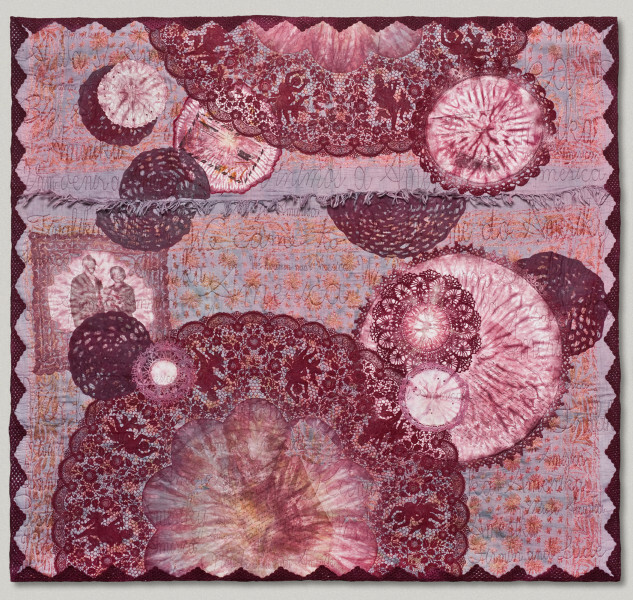 I have long let a quilt in their honor ‘percolate’ in the back of my mind. They met and married in Belgium between the World Wars and came here in 1923 by ship, as millions of immigrants have done throughout our history. World War I decimated Belgium, and they sought a better life here while feeling the separation and loss of loved ones left behind, most of whom they never saw again. Lucie and Firmin flourished in the US, had five children, nine grandchildren, and many great-grandchildren. 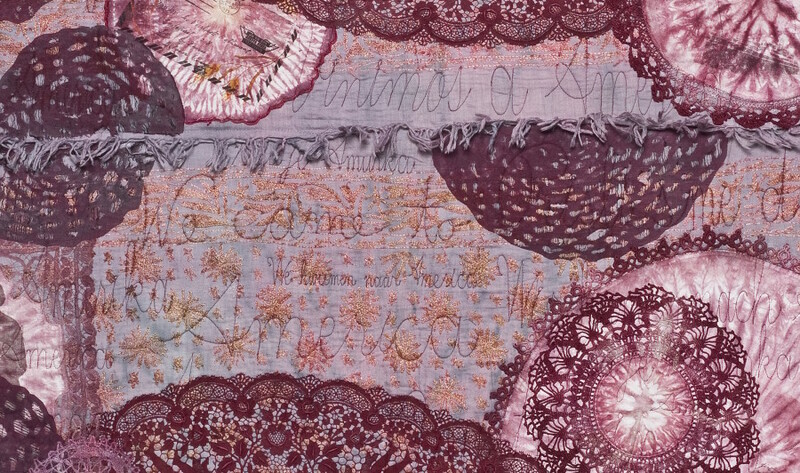 This work features hand-dyed vintage lace textiles, copies of their last letters home (in Flemish), and their wedding portrait. The piece is quilted with the phrase We Came to America in the languages of many other immigrants who came to America. In a private collection. I didn’t know that. Thanks for the info, Mom.